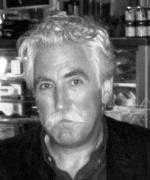 Brian Johnstone has published two pamphlets and a full collection, including The Lizard Silence (1996) and Homing (2004); his second full collection The Book of Belongings will be published by Arc Publications in 2009. His work has appeared throughout the UK, in America and in various European countries. His poems ‘evoke a sense of spiritual immanence in their slow still spaces’ (Scottish Literary Journal); several have been translated into Catalan, Swedish, Polish, Slovakian and Lithuanian and published in these countries. In 2003 he won Edinburgh's Poetry at the Fringe award, and in 2000 was a prizewinner in the National Poetry Competition. He is Director of StAnza: Scotland's Poetry Festival. He lives on the edge of the East Neuk of Fife. 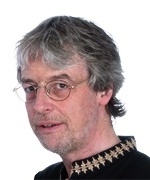 Richard Ingham is a saxophone soloist and has given recitals recently in Spain, Poland, Canada, Ireland, USA, India, Slovenia, Latvia and China. He has performed by invitation at every World Saxophone Congress since 1985. and has released several albums. He is Visiting Professor of Music at the University of St Andrews, Principal Guest Conductor of the National Saxophone Choir of Great Britain, and Principal Conductor of the newly formed Aberdeenshire Saxophone Orchestra. He has recently been giving many jazz classes in schools in Aberdeenshire, under the auspices of the Youth Music Initiative scheme, funded by the Scottish Arts Council. His many compositions are frequently performed. Louise Major studied music and biochemistry in her native New Zealand. 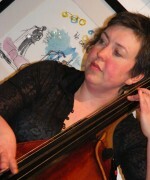 She now works for the University of St Andrews as a Structural Biology Post-Doctoral Research Fellow in the Centre for Biomolecular Sciences, and as a double bass tutor for the Music Centre and at St Leonard's School. Her first degree was in double bass and composition before changing focus and studying science. Musical highlights include: jazz on Thursday nights at the Byre Theatre; having an orchestral composition workshopped by Dunedin Sinfonia in New Zealand; playing bespoke bass parts composed by Richard Ingham (Drift o' Rain on Moorland Stane), Gillian Whitehead (Outrageous Fortune) and Anthony Ritchie (The Trapeze Artist).